A contiguous canopy of acacia shields many from the solar glare. 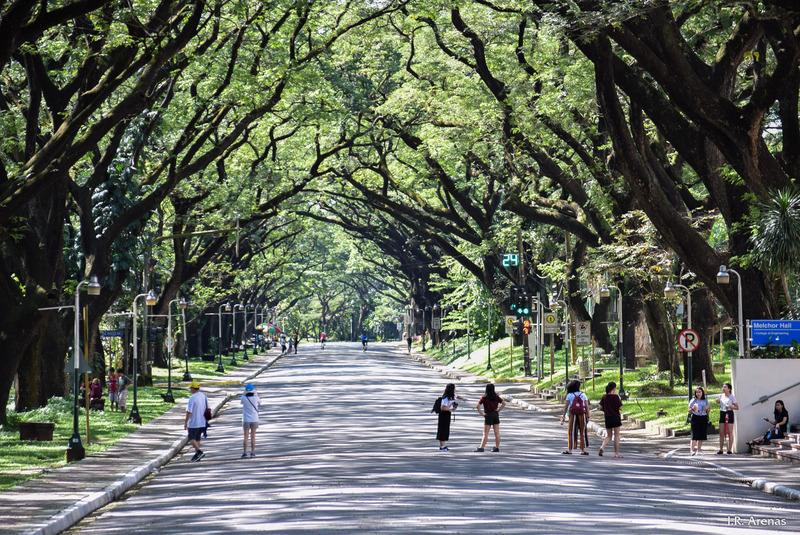 This is the regular scene in this university campus – a blanket of foliage effectively illuminates this main thoroughfare with verdant hues. 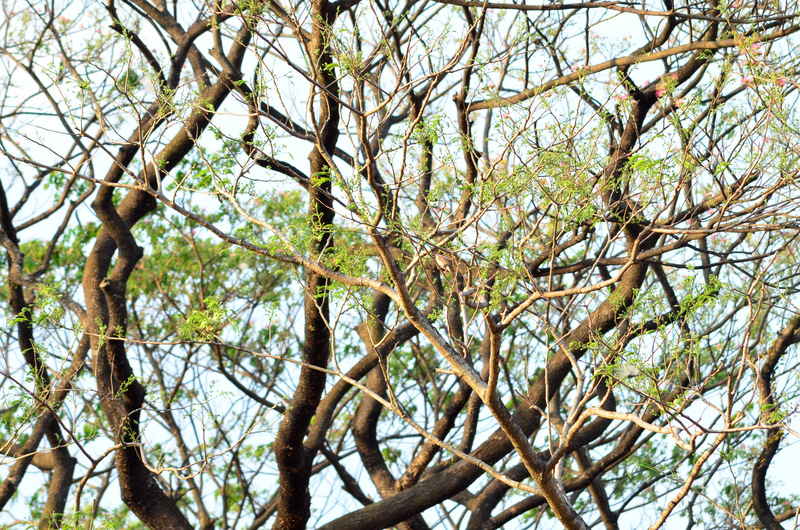 Acacia branches glow during near sunset.